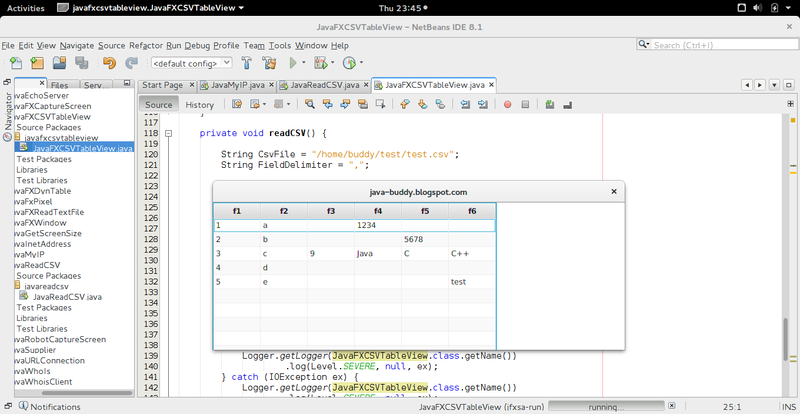 Java example read csv file and display the content in JavaFX TableView. To know how to prepare the csv file, and simple read csv file, refer to last post. Next post show how to do the job in background. Related Posts of "Read csv file, display in JavaFX TableView"
How to Edit MS Word 2016 Document?